Microbes are found everywhere and are important everywhere. “Microbial Ecology” studies the interactions of microbes with each other as well as with their environment. It is important to attempt to study microbes as part of the community in which they are found and not just in isolation. Advances in DNA sequencing technology have revolutionized microbial ecology in recent years. These tools are now being applied to the “built environment”. Much of this work is funded by the Alfred P. Sloan Foundation and information on the microbiology of the built environment can be found here at microBEnet. Microorganisms (living things too small to be seen unaided) are found in every corner of the earth, from miles below the surface to boiling hot springs to Antarctic ice. Also referred to as microbes, microorganisms include the familiar bacteria, fungi, and viruses, as well as several less-familiar types. Microbiologists estimate that hundreds of millions of species of microbes inhabit our world, most of which are, at best, poorly understood. Though microbes are best known as the causes of disease, they also play critical roles in almost all physical systems, changing atmospheric chemistry, enabling digestion in larger organisms, and breaking down organic matter. Microbes affect global geochemical cycles and of course, help us with the creation of beer and wine. 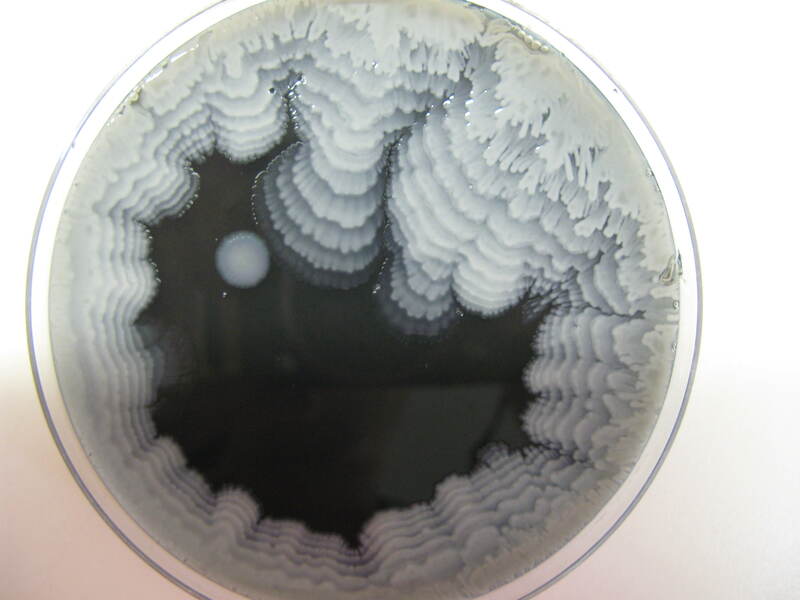 In the lab, we often study a single microbial type, “culturing” it by growing it in isolation in a dish or flask. Culturing is a powerful method for understanding the biology of a single type of microbe, allowing for many controlled experiments. Culturing also has its limitations. In nature, microbes do not live in isolation, but are components of complex dynamic communities, frequently including “macroorganisms” like plants and animals, as well. These microbial communities interact with their environment in a myriad of ways, influencing, and being influenced by, their surroundings. For example, lichen (actually a community of algae and fungi) slowly degrade the rocks they inhabit through the release of carbonic acid. The field of “microbial ecology” seeks to understand how microbes interact with other organisms (including both macroorganisms and other microbes) and with the environment. 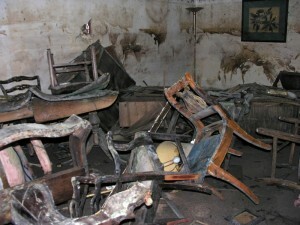 As with any other environment, buildings and other man-made objects provide rich habitats for microbes. Buildings provide space and nutrients for microbes, and the people (and various animals and plants) passing through continually bring new species to the community. 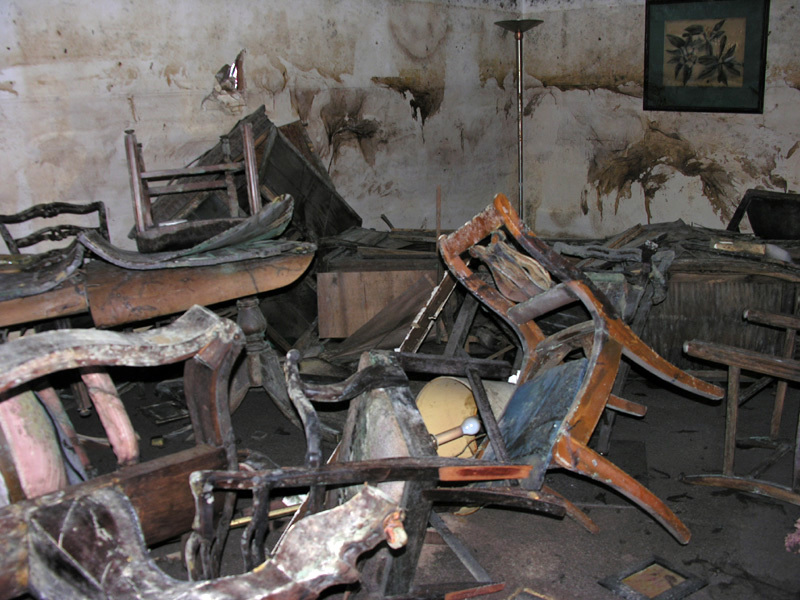 Traditionally, the study of microbes in buildings has focused on known pathogens or on microbes that can damage the structure – things like black mold on the walls, Legionella bacteria (named for the deadly outbreak of respiratory infections it caused at an American Legion conference) in the water, and airborne pathogens. Researchers have emphasized the most visible or virulent agents associated with widespread outbreaks or exposure to allergens. In particular they have looked for associations between the presence of a particular microbe and some measured health effect on humans. These microbes have often been studied in labs, out of the context in which they cause problems, and without regard to the communities from which they came. These organisms are isolated in culture and assessed only for their risk to human health, or building integrity. This can be problematic because the behavior of many microbes depends strongly on the other organisms present in a community. However, studies of microbes in their native habitats have been challenging for many reasons. Microbes are, by definition, hard to observe directly, and direct observation can be of limited value. 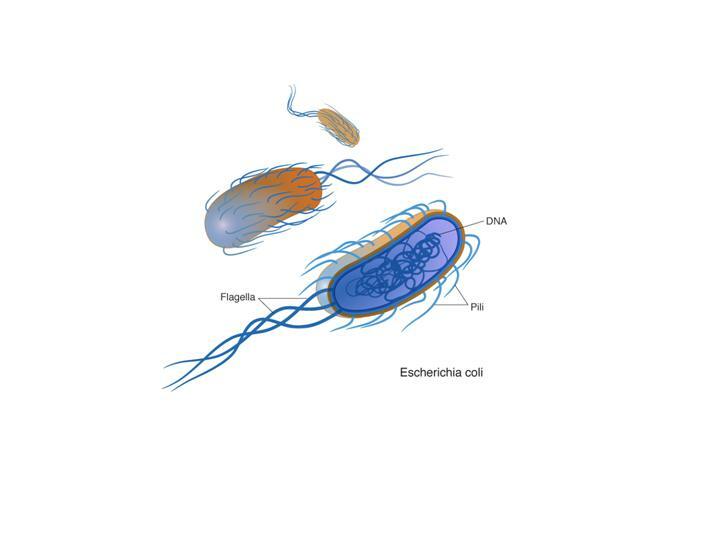 The physical appearance of a microbe is generally not a useful indicator of what the microbe is (very different microbes can look very, very similar) or of its potential to cause trouble (e.g., pathogenic forms of bacteria can look identical to non pathogenic forms). Thus, many researchers use indirect means to characterize microbes in their natural habitats, for example, by studying the byproducts of microbial activity. 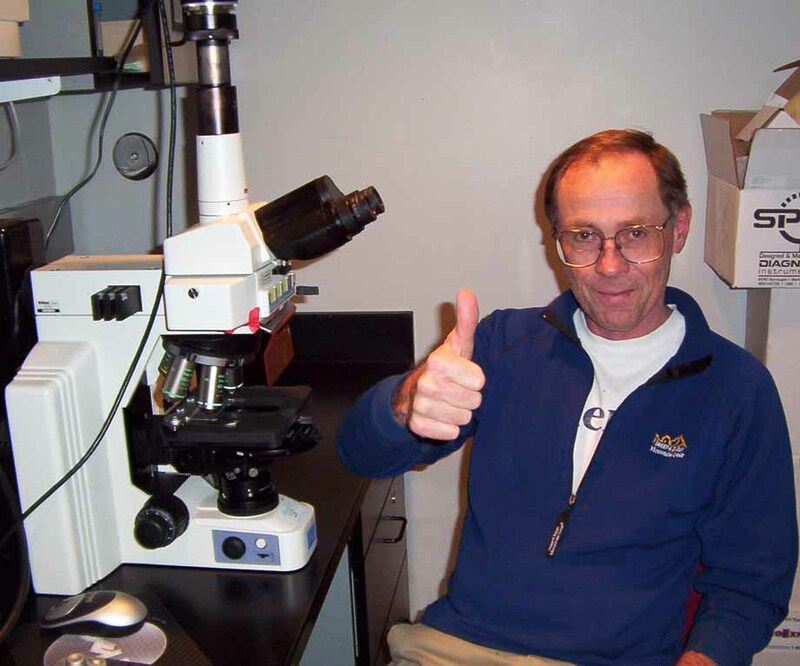 In the late 1980s, Norm Pace and colleagues pioneered a new approach to microbial ecology. 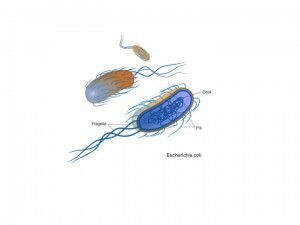 Researchers began to examine microbes in their natural habitats by isolating DNA or RNA from environmental samples, and studying it in the laboratory. The analysis of the DNA/RNA allows researchers to examine the inner workings of microbes, and make more accurate inferences about both the kind of microbes that are present in a location as well as the biological potential (what they can do) of those microbes. In the 1980s and 1990s, DNA-based studies of microbes took off, and revealed stunning details about microbial communities. For example, DNA-based studies discovered that there were many, many more kinds of microbes present in most samples than anyone had been able to grow in the lab. In other words, most of the kinds of microbes present in samples were “uncultured” and we basically knew nothing about them. DNA-based studies also highlighted the immense scale of microbial diversity – some samples (e.g., a few grams of soil) contained thousands and thousands of species, most of which had never been grown in the lab, or studied in any way. For many years, the focus of DNA-based studies of microbial ecology was on small-scale surveys of the kinds of microbes present in specific samples, due to limitations in DNA characterization methods. Large-scale surveys (either examining many samples or deeply characterizing individual samples) were unheard of. This changed with advances in DNA sequencing technology, driven in large part by “genome” projects such as the Human Genome Project, and related activities. DNA sequencing involves reading the order of the nucleotide bases found in specific pieces of DNA. The genome projects aimed to read the entire “sequence” of nucleotide bases for specific organisms. Technological innovation driven by genome programs led to exponential decreases in the cost, and massive increases in the speed, of DNA sequencing. Though the general focus of the people developing these technologies was on humans, the technology could be used for any DNA samples, and the aid to other fields was a great side benefit. Thus, in the early years of the 21st century, a new revolution began in microbial ecology with the application of high throughput, low cost DNA sequencing to the study of microbes in the environment. This has even led to a new general approach called “metagenomics,” wherein one takes samples from an environment, collects all of the DNA present, and then sequences portions of that DNA. With cheap DNA sequencing, we can sequence more and more environmental DNA, and approach a representative sampling of the microbes present in the original sample. In the last few years, metagenomic, and related studies of microbial communities have been conducted in a diversity of ecosystems, from the oceans, to boiling hot springs, to the “planet” of the human body. These studies are transforming our understanding of these ecosystems and revealing not just “who is there” in these systems but helping determine “what they are doing” in their communities. We have discovered new enzymes and biological pathways, quantified the relative natural abundance of numerous species and for the first time, have been able to compare different microbial communities on a large scale. Though most of the early DNA-based or metagenomic-based studies of microbial communities focused on so-called “natural” ecosystems, recently, some researchers have turned the focus to the built environment. 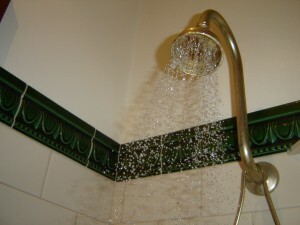 Results from these early studies are exciting, suggesting, for example, that organisms present in showerheads are a very distinct, and potentially worrisome, subset of those present in the municipal water system. A number of research labs are engaged in work on the “microbiology of the built environment”. The Alfred P. Sloan Foundation Indoor Environment Program funds some of this work and is supporting the development of tools that can be applied more broadly in indoor environments. As part of its efforts to facilitate the connection between microbial ecologists and indoor air scientists, the Sloan Foundation is funding the microBEnet project. Led by Jonathan Eisen of UC Davis and Hal Levin of the Building Ecology Research Group, microBEnet is assembling information about the relevant work of Sloan grantees, and other resources, to encourage the exchange of information between and among microbial ecologists and indoor air scientists. This document was produced by microBEnet. It was written by David Coil and Jonathan Eisen, and edited by Hal Levin and Elizabeth Lester. Bacteria image from Talking Glossary of Genetic Terms, Bacteria in culture photo by David Coil (no copyright restrictions), Mold photo from Wikipedia Commons, Norm Pace photo from Pace lab website, DNA sequencing photo from Wikipedia Commons, Showerhead photo from Wikipedia Commons.